The Lip Polishes were on buy two take one promo. I’ve already reviewed one here. Then the mascara was only PhP199 (currently, about PhP150). 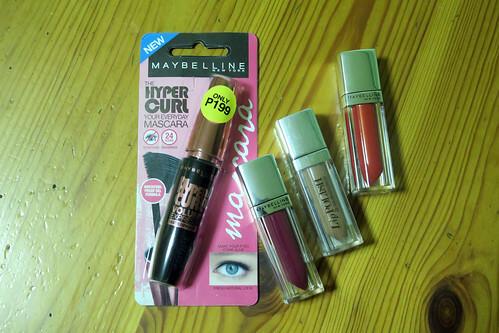 I was so happy Maybelline was on sale then. I did another splurging, but this time for no reason besides the sale in SM Makati Watson’s. Oh, I think it was because I didn’t want to use my high-end eyeliner for everyday use! So I checked the Maybelline counter again and found that PhP99 Crayon Liner. So cheap! 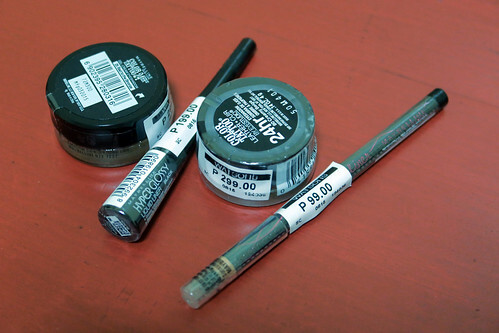 I’ll be reviewing the three eye makeup products later or hopefully before I return to the Philippines. 🙂 Please watch out for them. Glam Love has a Vlog!